Have you updated your iPhone to iOS 12 yet? As usual, the latest version of Apple's mobile operating system brings new features and most of all, performance improvements even on older compatible iPhones and iPads. The new features in iOS 12 tackle a broad range of functions. From time management to communication, Apple added tons of welcome changes and useful tweaks that we all could appreciate. Take this newly discovered iOS 12 issue, for example. Apple's intentions are in the right place but this glitch can lead to very embarrassing situations. According to a new report from PiunikaWeb, users who have updated their Apple gadgets to iOS 12 are experiencing serious issues with iMessage. It looks like in an effort to make iMessage better, Apple introduced a new feature in iOS 12 that combines all the text message threads for contacts who have multiple phone numbers and email addresses. For example, messages from a friend who has multiple phone numbers and associated email addresses will now appear in a unified thread. However, Apple may have fumbled this new iMessage feature's execution which can lead to very awkward situations. According to multiple complaints on Apple's support forums and Twitter, iMessage is now inadvertently merging message threads from completely different contacts as well. This means that on iOS 12, a text message you're sending through iMessage can end up with a person you aren't intending to send it to. For example, messages from different family members, like a mother and a sister or a father and son, are now being merged into one thread. "Without question, this issue began when I 'upgraded' to iOS12," one affected user wrote in Apple's forums. "This issue has been devastating and needs to be resolved ASAP. I depend upon iMessage and can no longer trust/depend on the tool to send messages to the proper person. In the same way, I cannot be sure from whom texts are actually being sent." As you can imagine, having a text message sent out to several unintentional recipients can be seriously embarrassing. It's still early to tell, but complaints about this particular iMessage bug are spreading quickly. One complaint in Apple's Support page has garnered over 300 "I have this question too" votes, so far. Other Apple Support threads and social media posts about this problem are starting to appear, as well. One of our staff members here at Komando.com is experiencing the same issue as well (his sister and her husband's message threads are now merged. They are using the same Apple ID, by the way). What could be causing this potentially relationship-ending bug? According to PiunikaWeb, many affected users have a shared Apple ID between members of their family. 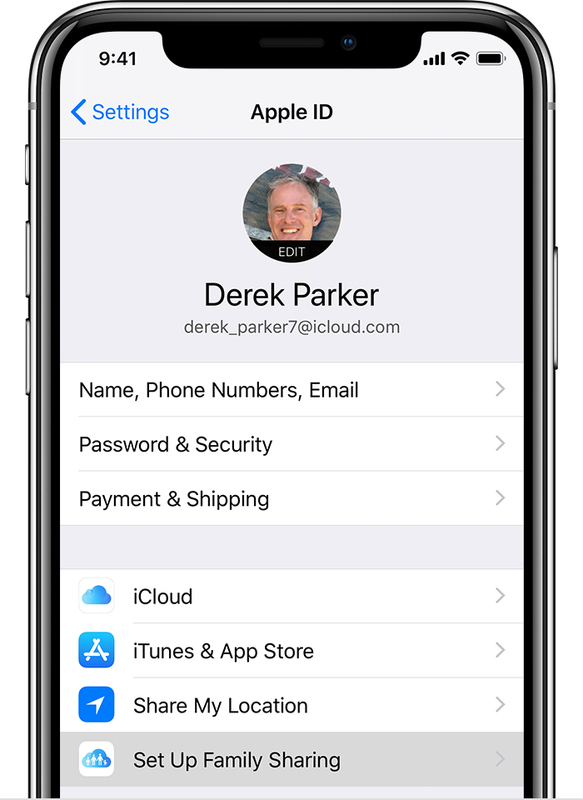 This suggests that Apple is now combining iMessage threads based exclusively on Apple IDs, regardless of a contact's name, phone number or associated email address. PiunikaWeb also stated Apple support has contacted an affected user and the company confirmed that this "bug" is actually an intended effect of iOS 12. Meaning if you share the same Apple ID with another person, "it doesn't matter what phone number or email you have assigned in settings," it will combine your messages in a thread. Hmm, this sounds like Apple's subtle way of forcing everyone to have their own Apple IDs instead of borrowing someone else's. It's quite common for family members to share one Apple ID to have access to the same purchased apps. This unannounced iOS 12 "tweak" might put an end to that. Still, it would have been better if Apple explained this change, the consequences and why this security change was introduced. It's like the iPhone throttling issue all over again. To keep sharing apps, videos and music with your family members across multiple iPhone gadgets, the proper way is through Apple's "Family Sharing" feature. Family Sharing is meant to make it easier for families (up to six people) to track and share all of their account purchases. Songs, albums, movies, TV shows, books and even apps can all be shared between multiple devices -- and they're all tied to a single payment method. Obviously, this feature is great for families and groups that share devices with one another and have similar interests. Note: Some users are saying that this is happening although two of their contacts don't share the same Apple ID. These are also anecdotal reports so we can't verify them. 1. Go to your iOS gadget's Settings then tap on your name. 2. Tap Set Up Family Sharing, then tap Get Started. Follow the onscreen instructions to set up your family and invite your family members. Note: All of your family members require their own personal Apple accounts. 3. If you're using iOS 11 or later, choose the first feature you'd like to share with your family. Then follow the instructions to invite your family members using iMessage. Apple is not the only one cracking down on account sharing. If you’re using Spotify, you’ll be seeing changes soon. This music streaming giant has figured out a way to enforce their rules and confirm you’re not sharing your account. This is bound to upset a lot of people. Click or tap here to find out how they plan on doing so.